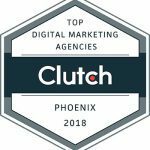 Phoenix Online Media Recognized as a Top Digital Marketing Agency! 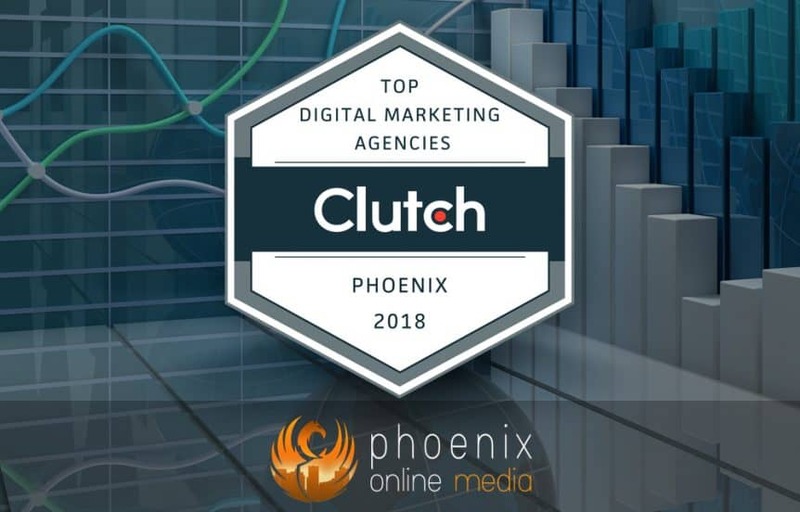 Here at Phoenix Online Media, we have recently learned of our inclusion on Clutch’s list of Top SEO companies in Phoenix and the press release that they put out announcing our their research in Phoenix! We are very pleased to have been highlighted as a top company! Clutch is an independent ratings and reviews marketplace. Clutch reaches out to our past clients and conducts phone-based interviews to obtain an accurate account of our performance. We have been ranked by our clients with a perfect overall score of 5 stars! We could not be more pleased that our commitment to our clients has been reflected in our reviews! This is the kind of return that each of our clients can expect to receive. Our great work has also landed us on Clutch’s sister website, The Manifest as a part of their LIST OF BEST WEB DEVELOPMENT COMPANIES IN PHOENIX. The Manifest gives a great description of our services, notable projects and key clients. Not only have we received 5 stars for our overall rating, Clutch also collects ratings along four other metrics. These metrics are quality, scheduling, cost, and willingness to refer. We have also been given perfect 5 star ratings from each of our clients along these metrics. Our clients satisfaction is of the utmost importance to us! One of our clients described our working relationship as such, “The relationship they build with their clients sticks out to me. Not only are they very responsive, but they make you feel like you’re their only client with the level of service they provide. You’re not just a client, you become a friend. Impressively, they make the others feel that way too. They make you feel valued.” We sincerely value every one of our clients and they can all expect the same level of personalized care. We are primed to continue to deliver this level of care to all clients! If you are interested in this same level of care and results for your business, contact us here and we will get back to you promptly.